Why Do Plumbers Say Pour Rock Salt Down Your Toilet? In ancient times, armies used salt as a potent biological weapon, sprinkling it on the enemy's fields to destroy crops, according to the Purdue University Extension. 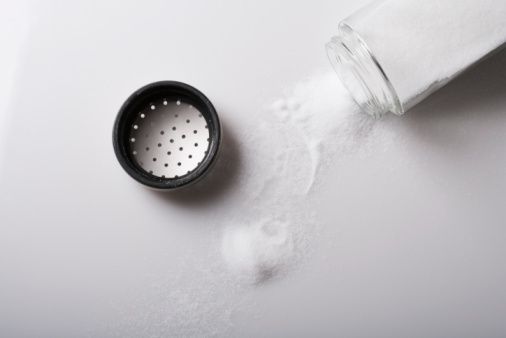 Modern homeowners can take advantage of salt's natural toxicity to plants by using simple rock salt to keep pipes free of tree roots, which can clog the toilet and block sewer lines over time. 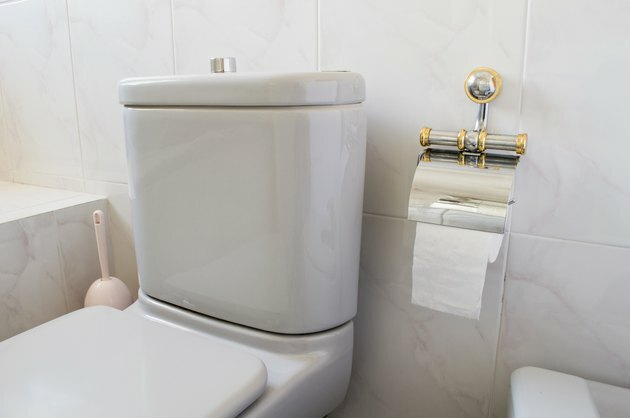 While rock salt won't resolve the worst root problems, many plumbers recommend sprinkling rock salt in the toilet periodically to keep roots at bay and protect your plumbing system. Toilet and tank in a bathroom. Tree roots on or around your property can slip into small cracks in the sewer pipe over time. Once inside, they feast on the nutrients found in sewer waste, allowing them to thrive and encouraging further growth. Eventually these roots can completely block the pipe, resulting in clogged lines and toilets that won't flush. The worst clogs can even cause sewage to back up into your basement or crawlspace, resulting in an unpleasant mess and expensive repairs. To kill roots that have found their way into your pipes, "The Complete Idiot's Guide to Household Solutions" recommends tossing a handful of rock salt into your toilet every two weeks prior to flushing. This kills the fine ends of the roots in your pipes and keeps them from taking over. Using rock salt in this manner won't harm the entire tree and will encourage the roots to move elsewhere. It's an effective tool both for homeowners on a municipal sewer and those on a septic system. While rock salt easily kills roots in sewer pipes, Tim Carter of the Ask the Builder website recommends attacking tree roots before they worm their way into your pipes. To do so, use drawings of your property to help you locate sewer lines. Drill down into the soil near the pipe with an augur and drop a basic PVC pipe to access the area around the sewer piping. Pour 4 pounds of copper sulfate into the pipe along with 5 gallons of hot water to kill roots and encourage them to steer clear of your pipes. Use caution when working with copper sulfate, which is a toxic chemical that can be harmful to people and pets. Pouring rock salt and other chemicals into your toilet won't help once roots have taken hold of your sewer line. When the lines are completely blocked, it's time to call in the experts for help. Plumbers can use large truck-mounted augers or high-powered water jets to clear clogs. In some cases, it may be necessary to dig up your yard and replace or line the sewer pipe to clear clogs and keep roots from growing back.